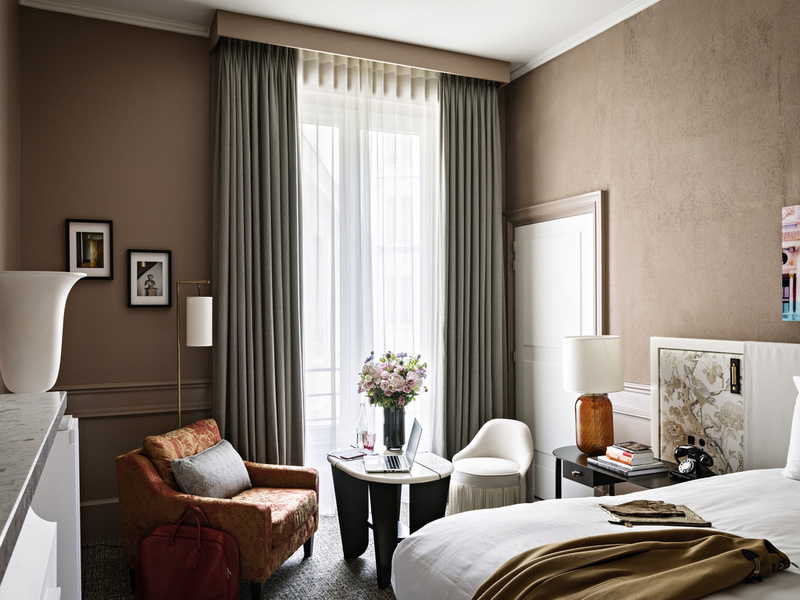 Resplendent in the glittering lights of Paris' Opéra district, this luxury 5-star hotel in Paris blends rich history and lavish architecture with sleek contemporary design. It was in this grand 19th-century building, home of the legendary Jockey Club, that the Lumière brothers showcased their cinema invention in 1895. Joséphine Baker and many other renowned visitors have enjoyed the luxurious suites. It was here that chef Sébastien Crison obtained his first Michelin star for his blend of French gastronomy and creativity. Enjoy the warmest of welcomes, focused on your every need. 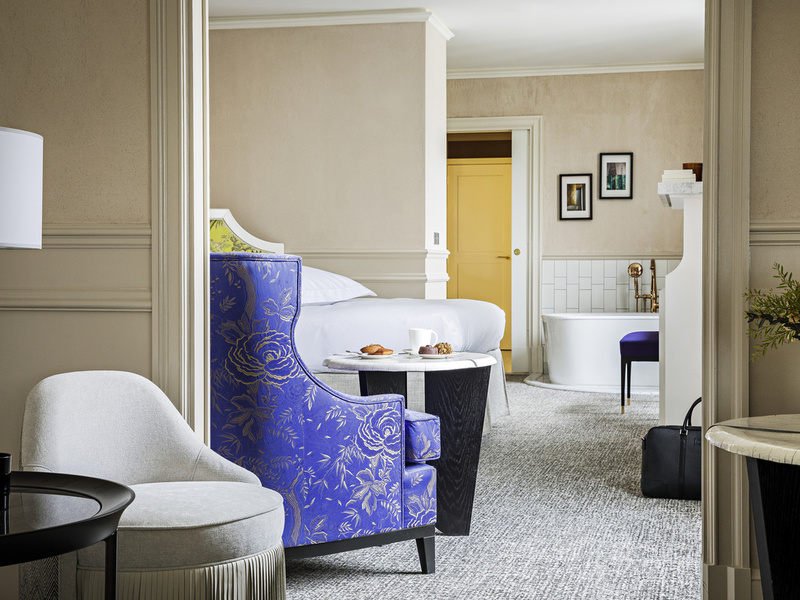 Stay in a splendid setting, close to Paris' arts and culture scene. Let yourself be seduced by creative and sophisticated cuisine in an intimate setting steeped in history. 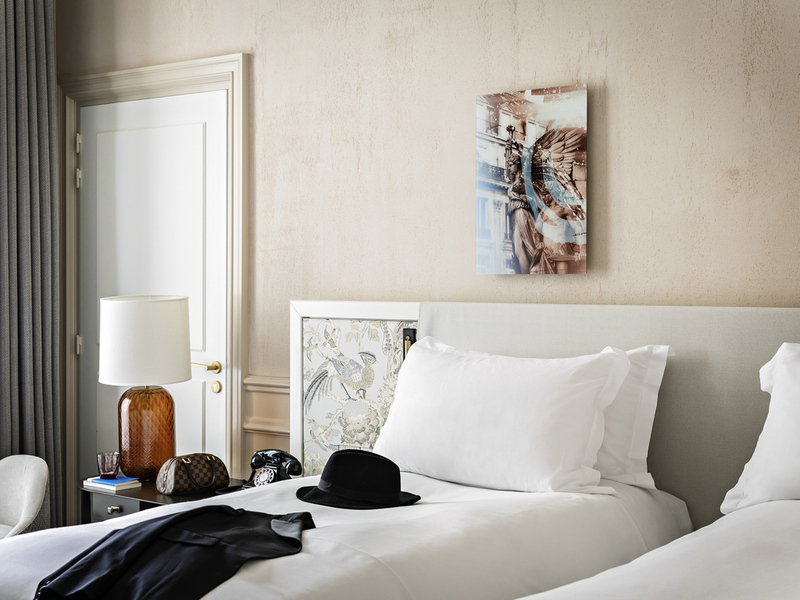 Each Sofitel hotel is a unique blend of French art de vivre and the best local culture. 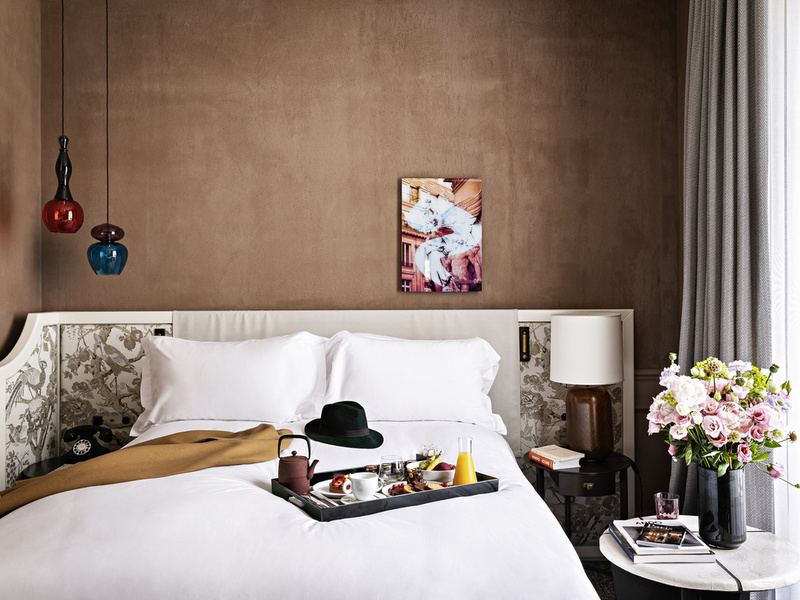 Set between the legendary Opéra Garnier, large department stores and the Louvre, the Scribe hotel has been beating the vibrant rhythm of Paris for 150 years. Built in 1861 as part of the new Opéra district, the Scribe was first chosen as the headquarters of the prestigious Jockey Club. In 1895, the Lumière brothers chose to host the first global cinema screening here. Many artists and celebrities from around the world have lived here. For example, Josephine Baker made this her Parisian residence until 1968. A key player in Parisian life, the Scribe is now writing a new page in its history. Until December 2019, Scribe is inviting Parisians and travelers to share their vision of the Parisian spirit. Go to www.hotel-scribe.com to learn about the project and participate. 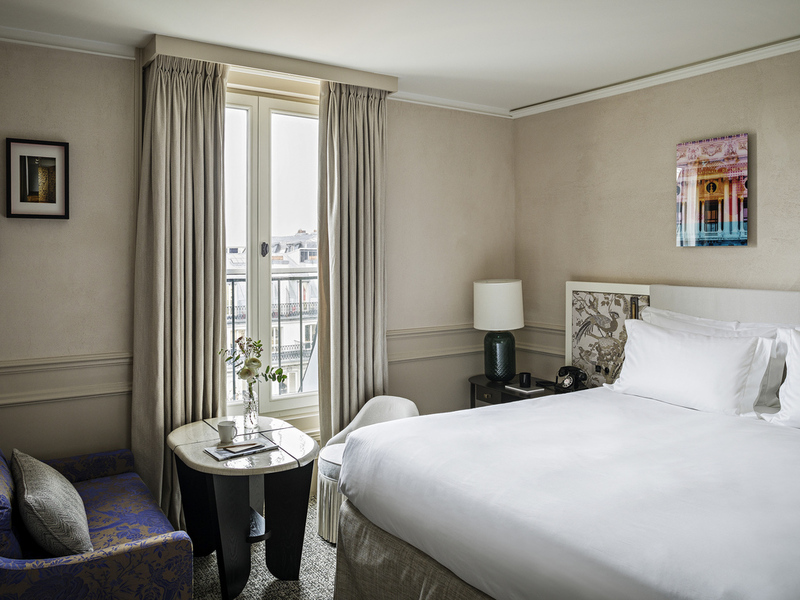 Situated between Opéra Garnier and Place Vendôme, La Madeleine and the department stores, the Sofitel Scribe Paris hotel is a 15-minute walk from the Louvre. From Roissy CDG Airport, take the A1 highway toward Paris center, following signs for blvd Haussmann, then take Rue Auber, following signs for Opéra Garnier. Rue Scribe is on your right. Roissy Bus with direct access to CDG Airport (40 min). RER A direct to Disneyland Paris. Metro lines 3, 8, 9, 12, or 14 to Madeleine, Auber or Opéra stations. 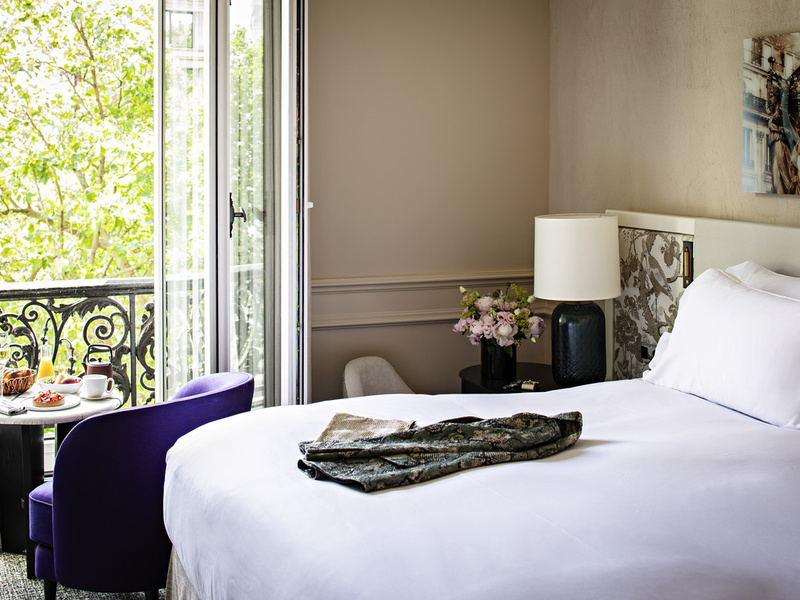 For deluxe hotel rooms in Paris' heart, choose Hotel Scribe Paris. Suites, apartments and spacious rooms boast Jacques Grange interiors, MyBed® comfort and amenities that mix style with modernity. A luxury Paris hotel room with 5 star service. 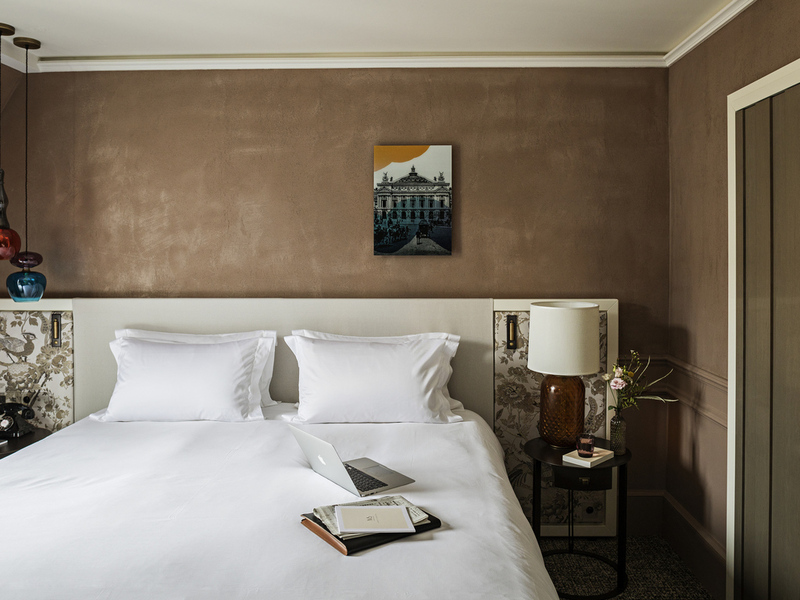 In our opulent Paris suites and aparents - luxury Paris accommodation overlooking Opéra's upscale streets - the hotel's starry history inspires contemporary décor. 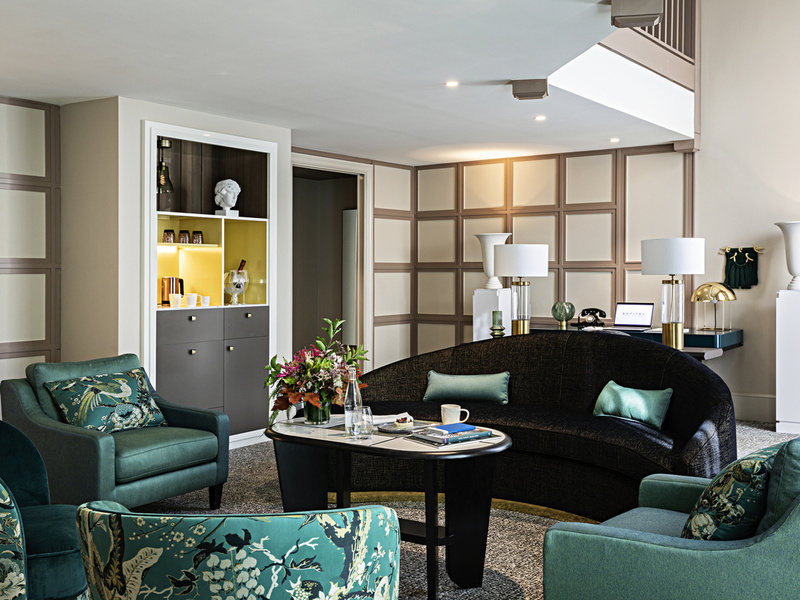 Circular lounges recall sumptuous receptions; duplex aparents glow with vintage chic. 20 m², new room renovated in 2018, Tristan Auer design. The fireplace, art books and large dressing room offer elegant Parisian décor. Hermes care, Mybed bed, Fitness access & Hammams Unlimited. 25 m², New Room Renovated in 2018, Tristan Auer design. The fireplace, art books and large dressing room offer Parisian elegance and refinement. Hermes care, Mybed bed, Fitness access & Hammams Unlimited. New 27 m² room, Tristan Auer design. 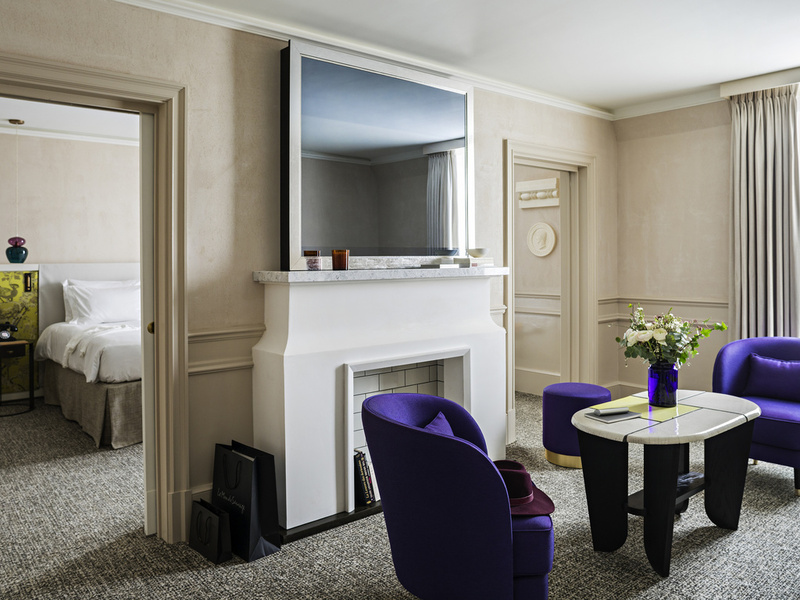 The fireplace, art books and dressing room offer Parisian elegance & refinement. Hermes care, Mybed bed, Chromecast system & Bluetooth, Fitness access & Hammams. 215-269 sq. ft. (20-25 m²) - J. Grange's cozy and elegant decor - Stylish furnishings - Mybed - Hermès toiletries - Tea and coffee making facilities, minibar, flat-screen TV, Wi-Fi, safe. Access to fitness center, hammams & whirlpool bath included. 269-323 sq. ft. - Unique elegance and refined, art deco styling, 2 Single Size Mybed Beds - Hermès products - Tea/coffee and mineral water on arrival - Minibar - Flat-screen TV - WIFI - Safe. Access to fitness center, hammams & whirlpool bath. 40 m² suite with Tristan Auer design with 1 bedroom & 1 separate lounge. 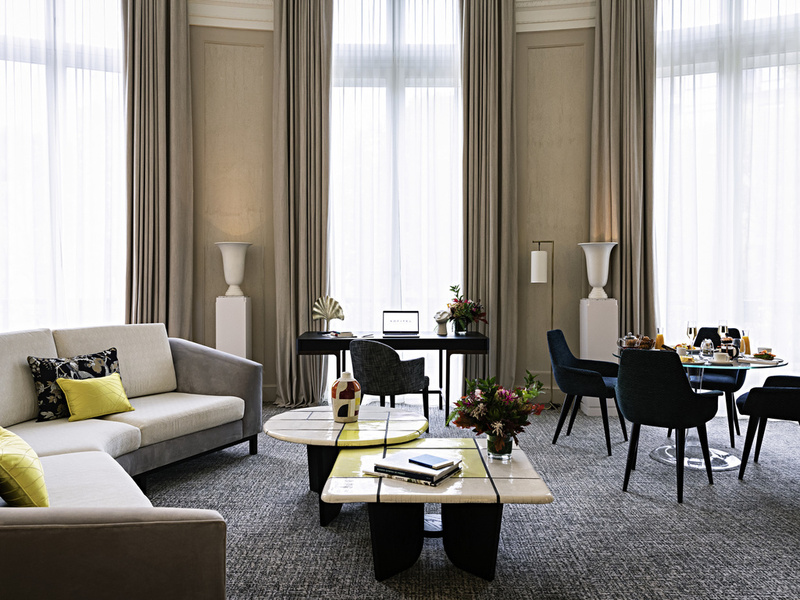 Elegant Parisian décor for a stay in the capital. Convertible sofa, MyBed bed, Hermes care. Access to Fitness & Hammams Unlimited. 50 m² suite with Tristan Auer design. 1 bedroom and separate living room. Design inspired by the luxurious Haussmann apartments. Conv. sofa & adjoining room option. Access to Fitness & Hammam Unlimited. 55 m², new suite with Tristan Auer design. Luxury and exclusivity of a Haussmann residence in the vibrant opera district. 15 m² terrace, convertible sofa, MyBed bed. Access to Fitness & Hammams Unlimited. Prestigious suite measuring 915-1076 sq. ft. with an elegant living space or reception. 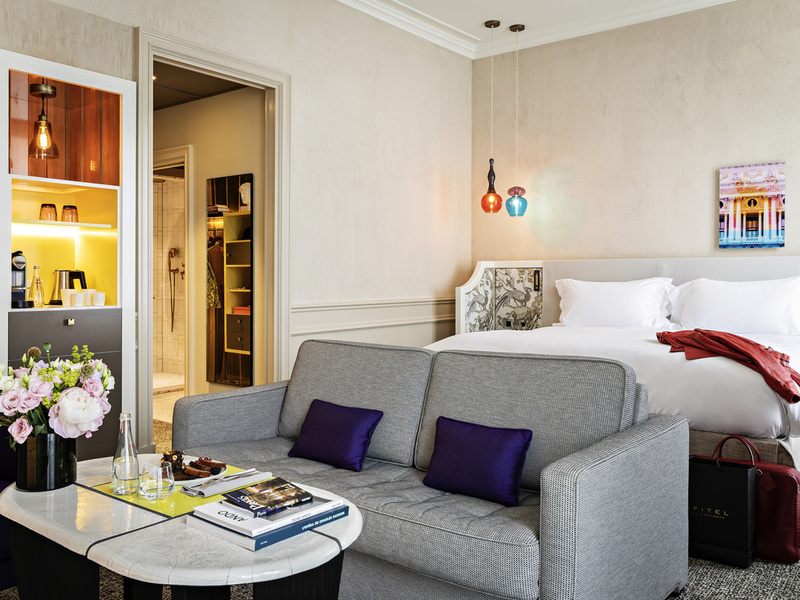 Double Size MyBed or 2 Single Size MyBed Beds, Hermès products, early check-in/late check-out if available, newspapers, candies on arrival, free minibar soft drinks. Loft style apartment measuring 915 sq. ft., lounge with 20 ft. high ceiling, mezzanine-level bedroom. Double Size MyBed bed, Hermès products, early check-in/late check-out if available, newspapers, candies on arrival, free minibar soft drinks. Creativity and excellence flirt with classic Paris cuisine in light-flooded Le Lumière, one of the top restaurants in Paris' Opéra quartier. Indulge in traditional Parisian afternoon tea at 1 T. rue Scribe, with honey from the hotel's rooftop hives. Crystal flutes and cocktail shakers sparkle in the glimmering lights of our sleek Paris bar, L'Obscur. A sophisticated space for pre-dinner drinks, light meals and creative cocktails - prepared with a smile and a flourish by expert bar staff. Sample a delicious pastry at the 1T Rue Scribe or a creative cocktail at the L'Obscur bar. Dine in a dazzling setting beneath the glass ceiling of our restaurant named after the Lumière brothers. For your pleasure, Sébastien Crison brings to life the flavors of Brittany and dishes from further afield. Dine on daring contemporary cuisine française by chef Sébastien Crison in this award-winning restaurant in Paris. Bathed in light, opening to a tranquil courtyard, our gourmet Paris restaurant pays tribute to the invention of cinema. 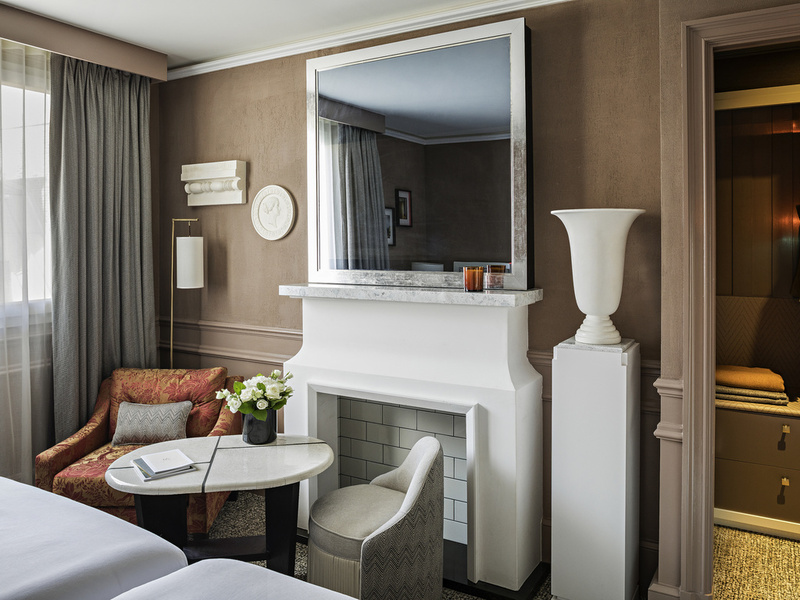 Opened in 2019, in a completely redesigned space, (re)discover this ultra Parisian address. Part sophisticated boutique, part Parisian counter, tradition and creativity blend in a chic, relaxed setting. 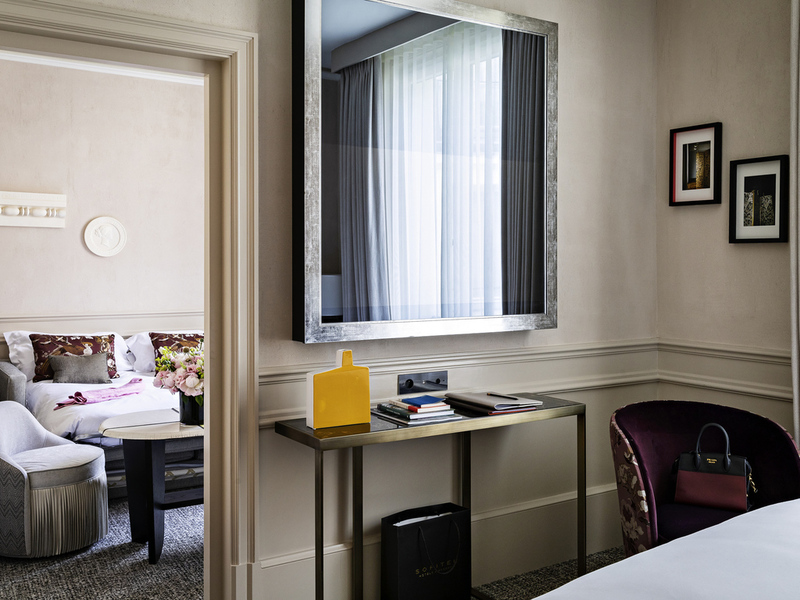 As the place where the Lumière brothers invented cinema in 1895, the Hôtel Scribe is an esteemed Parisian landmark. That historic room now accommodates up to 150 people for banquets or business dinners. This 5-star hotel located in the heart of Paris has four modern and adaptable rooms with WIFI access and the latest in audiovisual technology for your conferences and seminars in Paris. The La Galerie de la Nouvelle Image room pays homage to the photographic, video, cinematic and digital image and is a sought-after function room for cocktails and parties in Paris. A personalized catering service overseen by our chef is guaranteed. To celebrate your marriage, the hotel offers a half-bottle of champagne accompanied by a plate of macarons decorated with delicate rose petals to enjoy together in the intimacy of your room or suite. Step into the pure white, light cocoon of Keiraõ Spa, where a mosaic-lined hammam and bubbling jacuzzi soothe.... Revitalize your body with this luxury Paris spa's exotic massages; experience state-of-the-art French cosmetology with products by Carita. Impeccable service in a 5-star Paris hotel: an award-winning restaurant, stylish bar, business center, 24-hour room service, Keiraõ Spa... Ask the concierge about nearby shopping - Galeries Lafayette, Printemps - or tickets to the Olympic music hall. Welcome to one of Paris' most vibrant neighborhoods. Visit the Opéra Garnier a stone's throw from the hotel, discover the treasures of the Louvre, immerse yourself in the bustling department stores, stroll through Place Vendôme, experience Paris by night! After a busy day in the city, relax with a workout in the cool, light-filled space of our Paris hotel fitness center. Equipped with top-of-the-range cardio machines and weights, guests enjoy free access to the Paris hotel gym.